11 April 2019, Beijing, China: InterContinental® Phu Quoc Long Beach Resort, Vietnam has unveiled four glamourous new villas overlooking the azure waters of the Gulf of Thailand and the resort’s lotus lagoon, bringing a new level of privacy and luxury for guests. Located in a private area of the resort with direct access to the Club InterContinental Lounge, the 4 three-bedroom villas and 1 four-bedroom villa offer elegant and spacious accommodations for long staying guests, families, and groups of friends alike. Inspired by the pristine nature of its surroundings, the new villas present a contemporary design with local touches set in a verdant, close-to-nature atmosphere as breathtaking views of the beach and sea awaken the senses. Each features a capacious living room, kitchen, bedrooms and garden while surrounded by the lotus lagoon, adding a sense of serenity and privacy to the quarters. Guests may bask in the warm weather of Phu Quoc in the private cabanas and sun loungers, or the open relaxation area on the second floor overlooking the swimming pool where sunset views are uninhibited. In addition to the large lap pool, the four-bedroom villa also has a spacious lap pool directly in front of the stand-alone master bedroom. The space and privacy of the villas are ideal for private parties or events with a private chef, outdoor Barbecues, or intimate gatherings. An array of exclusive benefits include airport transfer directly to the front door, in-villa check in, private butler service, exclusive access to the Club InterContinental Lounge which includes an extensive selection of gourmet breakfast options each morning, tailored to individual’s preferences, complimentary afternoon tea and evening cocktails and canapés. Highly-personalised concierge and business services and various other perks make the villas perfect ambassadors of the InterContinental life. With summer holidays around the corner, families will also find a variety of kids-friendly programmes as guests of the new villas may enjoy unlimited complimentary children’s activities at Planet Trekkers, the resort’s children’s club staffed by trained childcare professionals. Complimentary private chauffeur service also makes outings convenient and carefree. The new villas at InterContinental Phu Quoc Long Beach Resort are open for bookings. The 4 bedroom villa must be reserved by email reservations.icpq@ihg.com or by phone +84 297 397 8888 only. Indulge in true luxury and experience elevated privileges when choosing to stay with Club InterContinental. Until 30 June 2019, when guests who book three consecutive nights a Club InterContinental room, suite or villa for a stay before 30 November 2019 can enjoy the third night free of charge. Enjoy an extensive selection of gourmet breakfast options each morning, and indulge in light fine-dining refreshments throughout the day, including complimentary afternoon tea and evening cocktails and canapés. Furthermore, on demand butler service will ensure that every need is taken care of during the stay. For more information and reservations, please contact +84 297 397 8888, or email reservations.icpq@ihg.com. • Phu Quoc Island, the largest island in Vietnam, is off the coast of Kien Giang Province in the south. • Known as ‘Pearl’ or ‘Emerald’ Island with pristine beaches, Phu Quoc Island is 574 square kilometres in size with a population of approximately 103,000 people. It was listed as a World Biosphere Reserve in 2006. • More than 50 per cent of the island is protected Phu Quoc National Park (31,422 hectares) while the surrounding sea has a rich diversity of marine life and coral reefs. • The island is part of the UNESCO World Network of Biosphere Reserves (WNBR), which includes internationally designated protected areas, each known as a biosphere reserve, that are meant to demonstrate a balanced relationship between people and nature. They demonstrate sound sustainable development practices and policies based on research and monitoring; and act as sites of excellence for education and training. • The island is renowned for production of high-quality fish sauce and peppercorns, as well as its world-famous pearl farms. • The resort is 15 minutes’ drive from Phu Quoc International Airport and 20 minutes from the main town of Duong Dong. 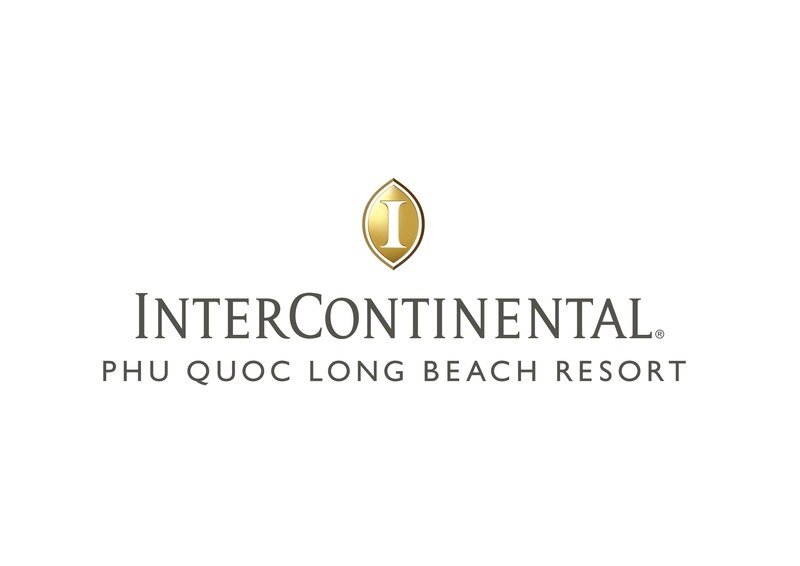 InterContinental® Phu Quoc Long Beach Resort is located on Phu Quoc Island, the largest island in Vietnam, off the south-west coast of Kien Giang Province. Stretching over 20 kilometres, Long Beach is surrounded by turquoise sea, with white sand beaches and magnificent ocean sunsets. InterContinental Phu Quoc is located near the tail end of Long Beach, with a pristine secluded beach exclusively for guests. The beachfront resort seamlessly combines elegance with local charm across its 459 elegantly appointed Rooms, Suites & Villas, Club InterContinental facilities and exclusive beach access. There are six innovative restaurants and bars for guests to choose from, as well as four swimming pools and a collection of state-of-the-art meetings and convention venues. The destination HARNN Heritage Spa is inspired by traditional Asian medicine and naturopathy, while the fully equipped gym completes the wellness offering with fitness equipment, and yoga and pilates classes. Leisure activities include an array of water sports, Planet Trekkers Children’s Club, cooking classes, wine tasting and more. Bespoke cultural and destination experiences include excursions such as nature hikes, cultural tours, shopping, night markets and island hopping. The resort is 15 minutes’ drive from Phu Quoc International Airport and 20 minutes from the main town of Duong Dong.